The Gannon Junior Golf Program will have two components in 2018. As we do every season, we will again host our weekly Junior Golf Clinic/Play. 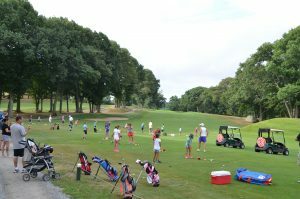 This year’s clinics will begin on Monday, July 9, 2018 and start at 8:00 AM followed by our junior golf play time. Gannon’s Junior Golf Clinic are free clinics which run for one hour. There is no registration, simply show up with a golf club, or set of clubs. There is no specific beginning age limit as long as the child is capable of getting around the course independently, 18 is the upper age limit. The program is open to ALL children in the area, and is not relegated to just Lynn residents. After the 1 hour free clinic there is Junior Golf Play which costs $5.00. Play begins at ~9:30 AM and is 9 holes which lasts roughly 2 1/2 hours. The child may just participate in the clinic and not the golf if he/she so chooses. The second component to our program will be our own PGA Jr. League Team. 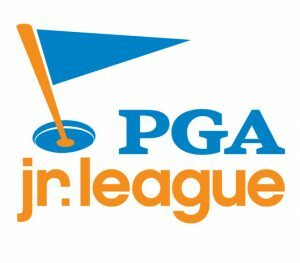 PGA Jr. League brings family and friends together around fun, team golf experiences with expert coaching from PGA and LPGA Professionals. Boys and girls of all backgrounds and skill levels learn and play together in a supportive, two-person scramble format that encourages mentorship, builds confidence and promotes sportsmanship. For more information go to www.pgajrleague.com or contact the Golf Shop at 781-592-8238. Junior golfers utilize SNAG during clinic.